This week’s Nintendo eShop releases for North America are in, delivering new demos and games for Nintendo Switch and Nintendo 3DS – as well as plentiful discounts across all platforms. Great deals this week! Check out the full list of deals available this week at Nintendo of America’s website. Dive into the relaxing and refreshing atmosphere of Swim Out, a strategic, turn-based puzzle game, that will transport you into a sunny day by the swimming pool, the river or the sea. Plan each of your strokes wisely and be sure to never cross any other swimmer’s path if you want to peacefully enjoy the sea view on a cozy chaise-lounge. Azure Reflections is a side-scrolling bullet hell fangame based on one of the hottest shooting game series to come out of Japan, the Touhou Project. Enemies come at you from all directions with relentless hails of bullets. Fight back with a well-timed Danmaku Rush to tear your way through bullets and enemies alike. Here comes a party racing game that’s tons of fun. Drift like a pro with easy analog stick controls. The intuitive party battle mode offers fun for everyone. Play wherever you are, any time. A mode with separate steering and accelerating/braking controls is also available. Compete with up to 8 players in multiplayer mode. With an art style inspired by the 80’s and the 90’s, FullBlast is a vertical-scrolling shooter that will bring a dose of nostalgia to all gamers who spent many an hour at their local arcade, engaging in Shmups. But don’t worry, just because it’s retro in origin, modern conventions and technology have been considered, resulting in a modern and vibrant presentation that is the perfect way to introduce a new generation of gamers to a largely untapped genre. Gakuen Club is a school life romance game set in a famous private academy. The main cast includes popular voice actors KENN, Kensho Ono, Kohsuke Toriumi, Tsubasa Yonaga, Yuichiro Umehara, and Mark Ishii whose works can be found in many anime shows and games. The gnome princess has finally come home. She managed to make peace with the trolls and befriend their queen, but at home, evil was afoot: a warlock collector stole the gnome monarch’s castle along with the royal family. The princess must gather a team and set off on a new adventure to save her loved ones. You arrive home after a year abroad. You expect your family to greet you, but the house is empty. Something’s not right. Where is everyone? And what’s happened here? Unravel the mystery for yourself in the Gone Home game, a story exploration game from The Fullbright Company. Explore a beautiful, vast and ruined world riddled with dangers and lost technologies. Echoes of a dark and violent past resonate throughout a savage land, steeped in treasure and blood. 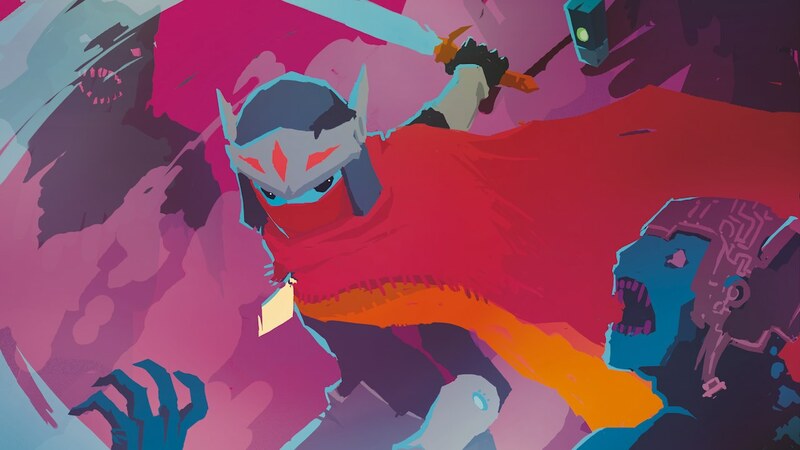 Hyper Light Drifter is an action-adventure-RPG in the vein of the best 16­-bit classics, with modernized mechanics and designs on a much grander scale. Help the Robo Chicken get the stolen light bulbs back! Get to the end of each level in the shortest amount of time possible and try to collect all the Cogs along the way. Beware the hungry Roaches, pesky Flies, shooting cannons and other deadly obstacles. Get the power-ups that let you use your Dash that’ll come in handy in tough situations. While seeking life on a distant planet, an astronaut discovers an abandoned Russian town. He suspects his mission is a hoax until a mysterious young woman saves him from a strange and deadly phenomenon. After a hard landing on the planet, the astronaut discovers the planet that was reported to be rich with life is instead a barren wasteland. When he goes searching for his crew, he makes a more startling discovery: evidence that humans have already been to this planet years ago! When he comes upon a deserted Soviet-era Russian town, he struggles to make sense of his mission. Did his light-speed travel to the planet send him back in time? Or is this all some strange Cold War hoax? Enjoy Mummy Pinball, a perfect reproduction of a real pinball machine, with all the graphic details and sounds. Discover all the secrets, complete all the missions and become number one in the world or the best among your Friends, posting your high score on the online leaderboard. The NBA 2K franchise celebrates 20 years of redefining what sports gaming can be, from graphics and gameplay to unique game modes and an immersive open-world “Neighborhood”. The NBA 2K19 game continues to push limits as it brings gaming one step closer to real-life basketball excitement and culture. Marooned upon an alien world… You have awoken on a strange alien world. Injured, alone and stranded you venture across this foreign land, navigating beautiful and varied terrain as you try to stay alive. Shikhondo – Soul Eater is a Korean bullet-hell shoot ‘em up set within a beautiful and bizarre world of Asian mythology. Armies of demons known as yokai have escaped from Limbo. They are spreading like a plague across the land, sowing fear and stealing souls. You must destroy the pestilent invaders and free the captured souls from eternal torment. Take down hordes of goofy enemies and crazy bosses. Earn riches, find long-lost holy artefacts and make your way up to the top of Mount Stinkup. Super tight gameplay and wonderful pixel graphics make Sigi a light-hearted and loving 8-bit adventure to enjoy. The SNK Heroines: Tag Team Frenzy game brings the party home! Play online or with friends as SNK’s iconic heroines in this new 2-v-2 fighting game. Choose one of the many heroines from SNK’s history, like Athena, Kula and Shermie, and customize her look before letting her battle it out. Who will be the Belle of the Brawl? Super Inefficient Golf builds on top of the most inefficient game ever conceived by making it even LESS efficient. Drop your silly golf stick and start using exploding mines to guide your ball! Place them, choose the right timing, and BOOM – Birdie! Time Carnage is a frantic survival wave shooter with gyro-based motion controls. Featuring single-player or two-player couch co-op gameplay. Travel through time and wreak havoc through worlds swarming with dinosaurs, monsters, robots and zombies. Unlock and upgrade your arsenal to survive the onslaught. Double Breakout is a breakout game which combines game mechanics from a traditional breakout game and a pong game. Play against the computer opponent through 20 exciting levels while aiming for a high score. Jibanyan and his Blasters team hit the streets in this action-packed twist on the Y0-kai WATCH series. You can play solo, or team up with up to three other friends to blast away Big Bosses and evil Yo-kai and tackle various missions to amplify your team’s awesomeness.